Just uploaded a third teaser trailer to YouTube showing off some of the new scenes - have a look! Hard to believe 2018 has gone by so quickly, but hopefully this will the be the last stretch of animation that we’re completing now, and we’ll have a whole lot more to show soon. Hello, all - just checking in. Animation continues on The Spine of Night at a good clip - it turns out that it takes a while to animate a feature-length film! We're also doing a production blog over at www.thespineofnight.com if you'd like to see more about the development of the film. The finished film is now online, right here. The soundtrack is also available, right here. Endless thanks to everyone for all support. This is only the beginning. Exordium was featured as part of Machinima Interactive Film Festival shown at the IAM8BIT Gallery in Los Angeles. Here's some pictures, courtesy of Ryan Burns. 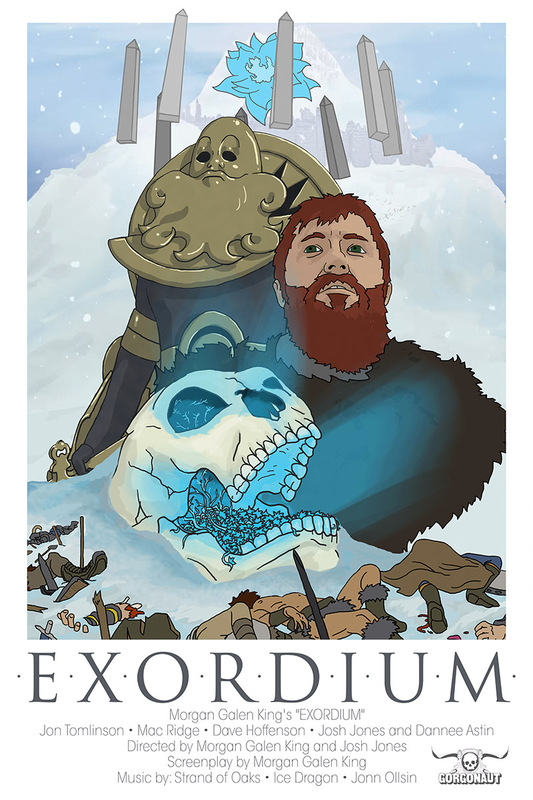 The storyboards for our newest project, Exordium, drawn by Ian Densford are up, alongside the original story for the short written by Morgan Galen King. A few things changed in a bit in the year of actually making the short, but I'm amazed at how much didn't.